Our latest photo report brings us back to the Disneyland Resort! Work continues on the new parking garage next door to Mickey and Friends. Security is guarding the work site. Arrival procedures have changed dramatically if you are parking at Mickey and Friends, so check out our post fo all the info you need to know. Construction continues on Star Wars: Galaxy’s Edge, with the show buildings now just looking like some warehouses along the roadway. Above the structures, we can see the back of the Batuu mountain range. A closer look at “Battle Escape”. Work is underway on Ballast Point Brewing Company, opening later this year. They are beginning to paint the exterior. We wish they were doing more than just painting, but at least it will look better than the current paint scheme that is visible throughout the area. Ballast Point is of course located next door to Wetzel’s Pretzels in the former Ridemarkerz location. Meanwhile, Black Tap Craft Burgers and Beer is taking over the former Build-A-Bear Workshop. There’s still plenty of work to be done with just 3 months left to go. There’s been no visible progress on the Lamplight Lounge. Really, there isn’t much visible progress anywhere. The Cove Bar has temporarily reopened for the busier Spring break season. It will close again in a few weeks time. Guests were happy to have it back, even if it is surrounded by construction. The Avalon Cove window remains visible. The path to Toy Story Mania isn’t a pleasant one. The Paradise Pier Ice Cream Co. will become home to the Abominable Snowman and his snow-cones this Summer. 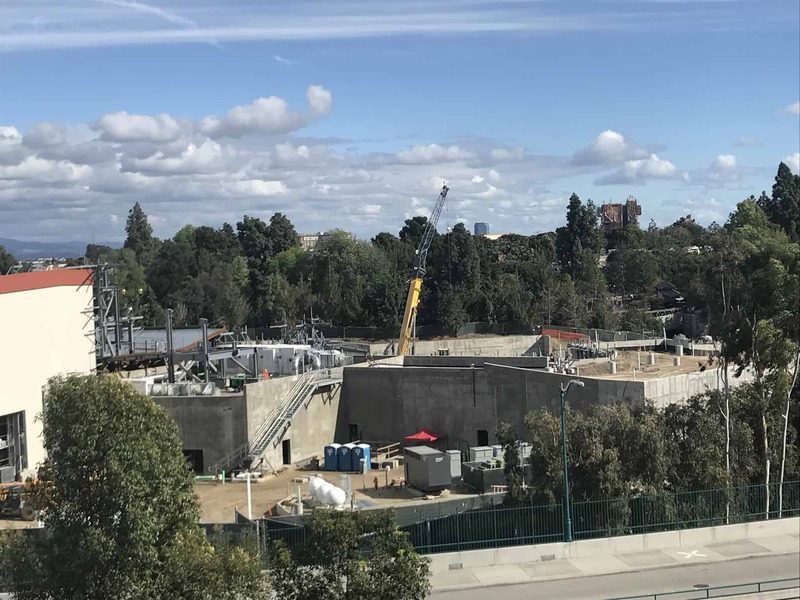 Work continues on the Incredicoaster. King Triton’s Carousel of the Sea has closed and will return in 2019 as Jessie’s Critter Carousel. Midway Mercantile is open, if not barely. Believe it or not, this is the entrance to a ride at a Disney Park. Toy Story Mania lies behind these walls. As you can see, the tunnels on the Incredicoaster are beginning to turn red. This sign is all that remains of classic Disney characters on the Pier. The PIXAR Fun Wheel continues to change color, but Mickey is keeping his smile.